Why Marine Le Pen doesn’t have a chance. Why there won’t be a Trump- or Brexit-style surprise in the French election. Marine Le Pen leaves after voting in the first round of 2017 French presidential election in Henin-Beaumont, France, on Sunday. We live in strange and unpredictable political times. Americans elected Donald Trump, and the British voted for Brexit, both defying the polls and the predictions of most experts. In such an age of uncertainty, all the confident predictions Monday morning that centrist Emmanuel Macron will defeat far-right Marine Le Pen in next month’s presidential election may give readers a familiar sinking feeling. But this time really is different. We’re not going to see another upset. The reason for this confidence is France’s electoral system. French people love voting so much that they do it twice. The two candidates with the highest score in the first round go on to the runoff. There, in what must look quite extraordinary to American eyes, the candidate with the most votes actually wins. There’s a well-known French motto, “In the first round, we choose; in the runoff, we eliminate.” And this motto is what makes arithmetically so difficult to imagine the possibility of a Brexit- or Trump-style surprise in the runoff on May 7. In the first round, Le Pen, of the National Front, came in more than 2 percentage points behind her opponent (21.5 percent versus 23.8 percent). 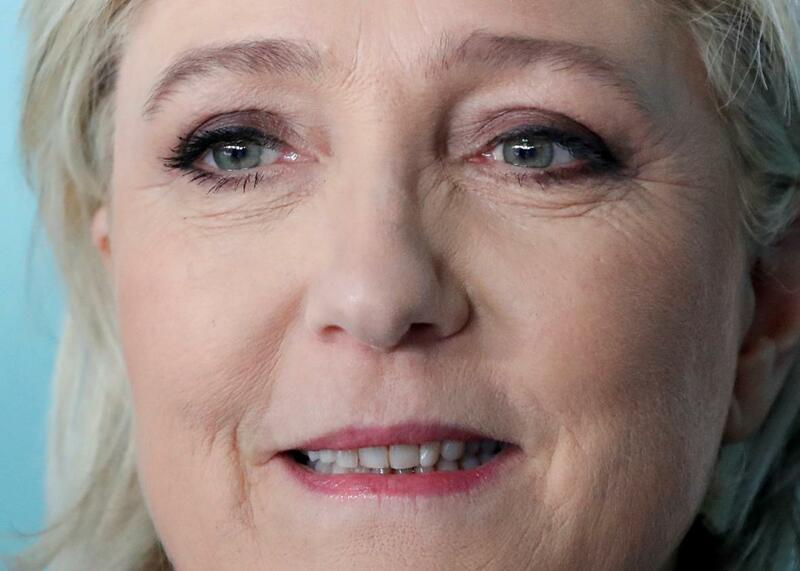 To win in two weeks, she will need to pick up 900,000 more votes than Macron from the voters whose candidates did not get to the runoff or who didn’t bother to vote the first time around. This is not going to be easy judging by the latest polls, which proved rather reliable in the first round. The only candidate whose voters may lean toward Le Pen against Macron are that of Nicolas Dupont-Aignan, a partisan of national sovereignty who got only 4.9 percent of the vote. The socialist candidate, Benoît Hamon, who was education minister for current President François Hollande, while Macron worked as an adviser at the Élysée Palace, has already asked his 6.4 percent of the voters to back Macron in the runoff. The conservative candidate François Fillon (20 percent), who harshly criticized Macron during the campaign, did the same, as did many leaders of the French right, even if a third of their voters might disobey on May 7. The only question mark of the evening was the reaction of Jean-Luc Mélenchon, the radical left candidate who got an unexpected 19.5 percent of the votes. Visibly affected by his narrow elimination from the runoff, he told his voters that “everyone knew what their duty was” and that he would not allow “one single vote for the far right” but did not endorse Macron. Nevertheless, the exit polls showed that 52 percent to 62 percent of his voters want to vote Macron in the runoff, compared with 9 percent to 12 percent for Le Pen and 29 percent to 36 percent abstaining. All those endorsements amount to a new version of what’s become known as front républicain, the republican front: the phenomenon where, in a runoff in which the National Front has qualified, almost every political leader, from the far left to the conservative right, will endorse the candidate running against the National Front. Despite their differences, many French politicians are united in seeing the National Front as a danger for French democracy (a view held by 58 percent of the voters, according to a recent poll). That republican front explains why, for example, the National Front has not managed to win a single congressional election in a one-to-one runoff since 1997 (it has done so only in what are known as triangulaires, runoffs in which three candidates are allowed to stand), in the Var, one of its bastions in the southeast. During the Hollande presidency, the National Front failed several times to win legislative elections in regions where it is very well-rooted, with up to 49 percent of the vote. It’s impossible imagine that it might get past 50 percent in the whole of France, given that Le Pen is still stuck below 10 percent in some of the biggest cities. During the campaign, a theory put forward by scholar Serge Galam went viral in France, positing that Le Pen might win, not with a huge increase of her votes, but with a massive abstention from the anti-Le Pen voters. That apocalyptic prophecy became quite popular, and a look Monday morning at the Twitter hashtag #SansMoiLe7Mai (“I won’t be there on May 7”) may lead some to think that it has some truth in it. But it runs against France’s electoral history. In May 2002, when Jean-Marie Le Pen, Marine’s father, got to the runoff, the turnout increased from 72 percent (albeit a very low turnout for France) to 80 percent, with a rush of anti-Le Pen voters to the polls. In the last regional elections, in December 2015, the National Front was the favorite to win two regions, the northern one (where Le Pen herself was running) and the Riviera (where her niece Marion Maréchal-Le Pen was on the ballot). Each time, the turnout rose sharply in the second round, and three-quarters of the new voters chose to vote against the Le Pens. All that political arithmetic explains why Macron is now 20 points ahead of Le Pen in the polls. By contrast, “remain” never had more than an 8-point lead over “leave” in the last two weeks of the Brexit campaign, and Hillary Clinton only had a 5-point lead (confirmed, by the way, by the popular vote) in the last days of her campaign. When the stakes are high, the French still turn up to vote, and vote against Le Pen.